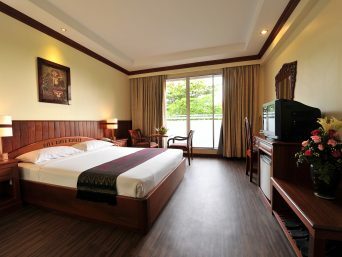 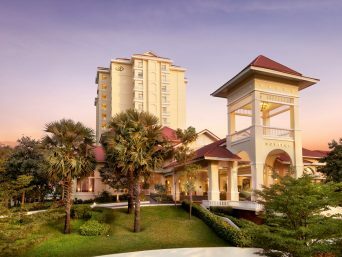 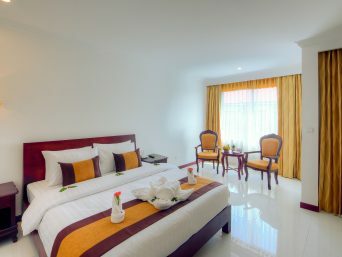 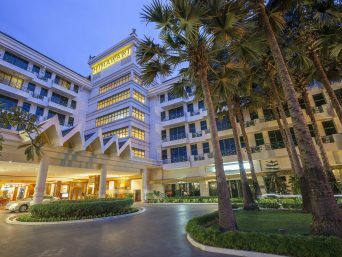 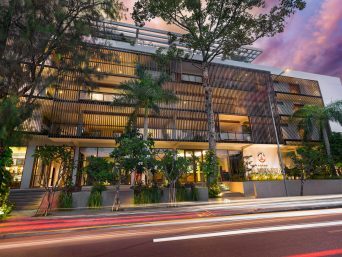 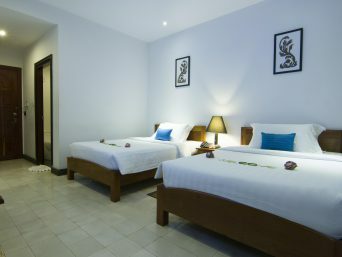 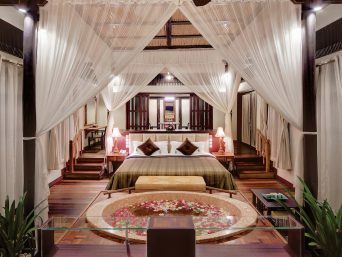 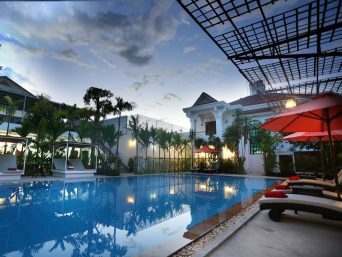 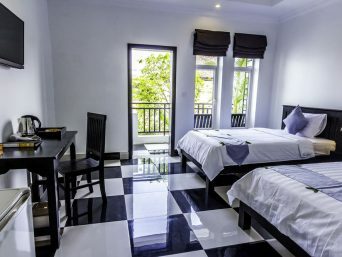 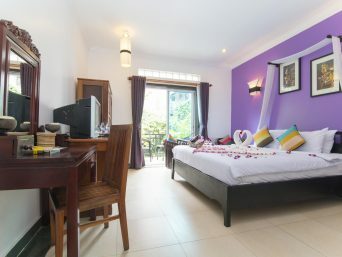 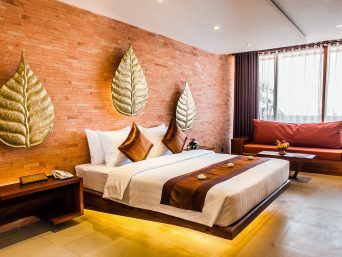 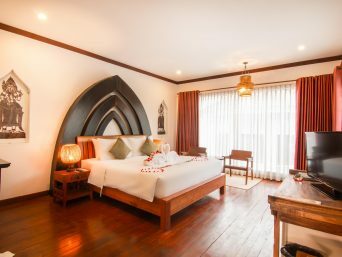 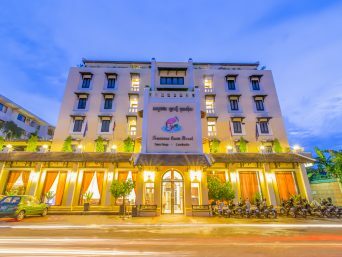 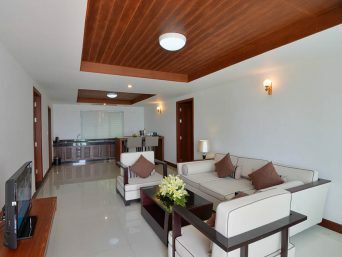 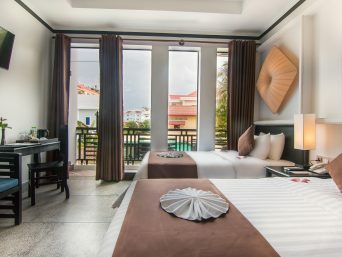 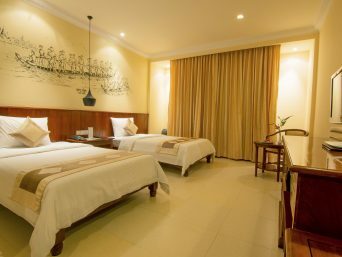 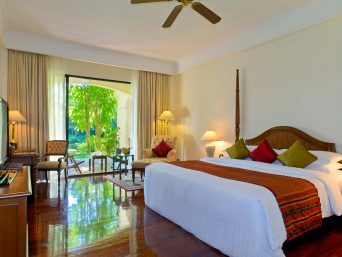 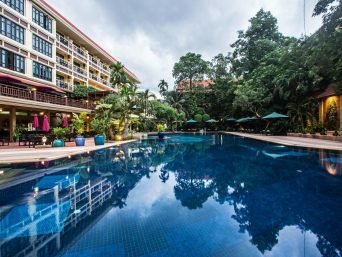 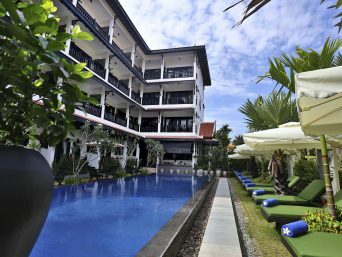 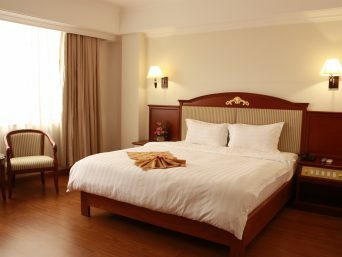 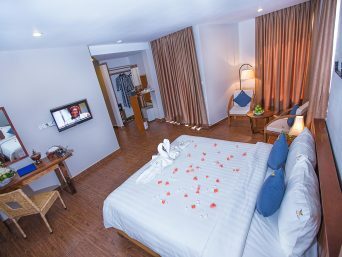 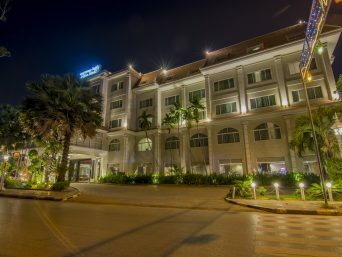 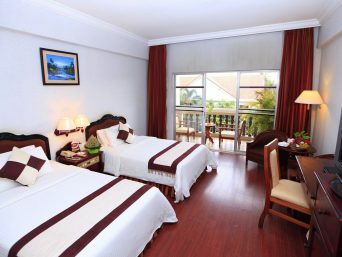 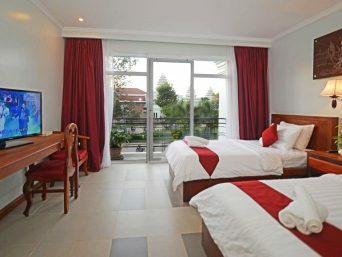 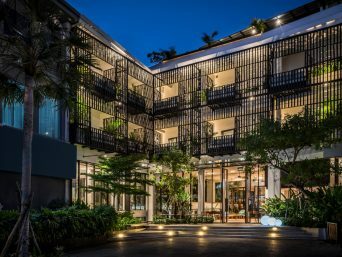 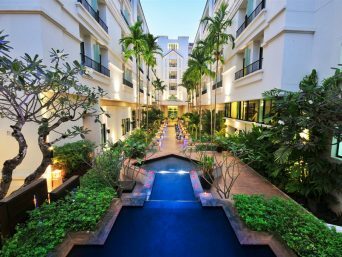 Bright and elegant, our Deluxe Rooms offer peaceful, well designed spaces in the heart of Siem Reap City. 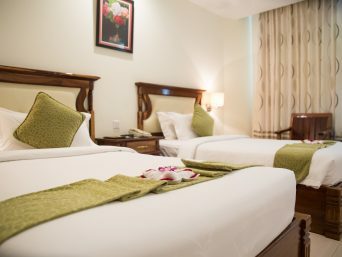 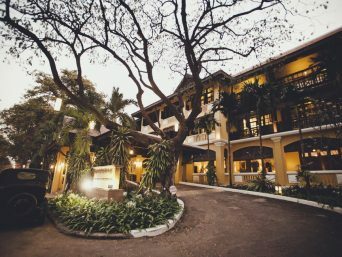 Flat-screen TVs, Wi-Fi and our rooms’ and bathroom’s amenities come as standard. 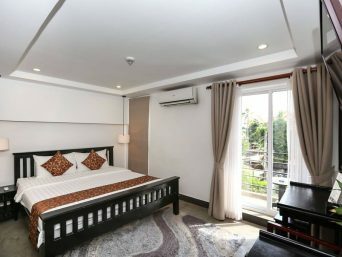 Deluxe Premium Rooms offer a breathtaking both the city view and our crystal pool view that can be enjoyed from the comfort of guest’s bed and their private balcony. 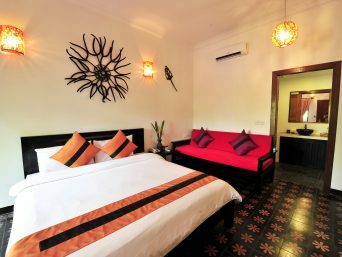 Vithei Charles de Gaulle, Mondul III, Slorkram Commune, Siem Reap, Cambodia.